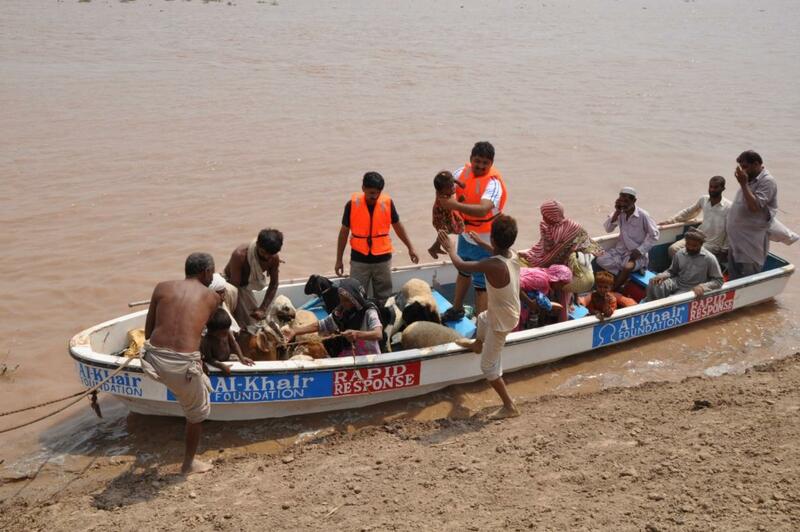 Al-Khair Foundation (AKF) is always on standby to support victims during emergencies and disasters. Thanks to the success of our fundraising campaigns and the generosity of our donors, Al-Khair Foundation was able to assist with the humanitarian effort in eleven countries across Asia, the Middle East and Africa. Our work helps to minimise casualties and provide relief to people affected by natural disasters and armed conflict. In the past financial year Al-Khair Foundation has acted during times of humanitarian crisis in Sierra Leone, South Sudan, Kenya, Somaliland, Bangladesh, Nepal, India, Myanmar, Syria, Yemen and Indonesia. In responding to humanitarian emergencies, the aims of the Charity are to provide immediate relief, alongside more long term measures to aid the sustainable recovery of afflicted communities. In the past financial year Al-Khair Foundation’s emergency responses have benefited nearly 200,000 beneficiaries. Sierra Leone In Freetown, Sierra Leone, Al-Khair Foundation responded to mudslides which occurred in August 2017. The Charity provided food, provisions, and medications to over 1,000 people – aiding the recovery of approximately 200 families. South Sudan Responding to food insecurity as a result of the civil conflict in South Sudan, in November 2017 Al-Khair Foundation partnered with Christian Aid to deliver redeemable cash vouchers to purchase urgent food items and other living necessities only. Al-Khair Foundation responded to drought in Kajiado County by delivering food aid to over 3,500 families – or over 21,000 individuals. The drought assistance consisted of maize, beans and cooking oil. The Charity also provided nearly 1,000 dignity kits to vulnerable women and girls. 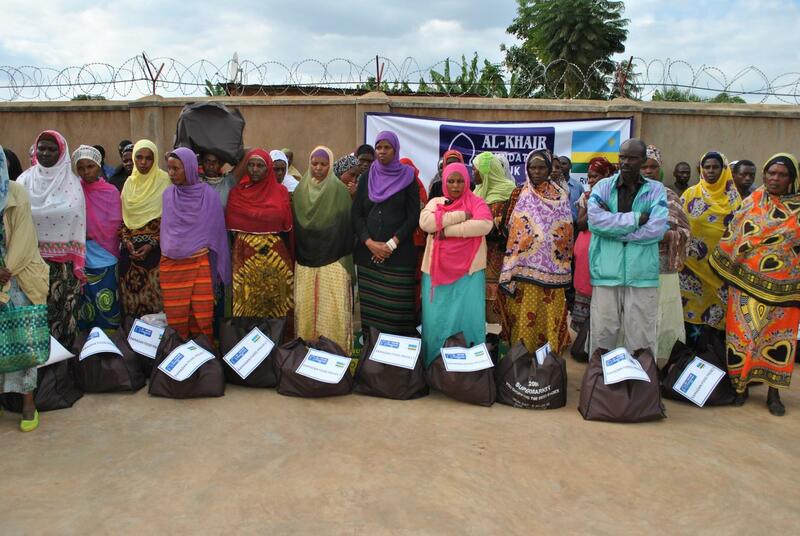 Al-Khair Foundation also mobilised quickly to assist Tana River County during flooding. The response was done in 2 Phases. The first phase was done in June, where 650 households benefited from an emergency package comprising of tarpaulins, mosquito repellents, jerry cans, maize flour and water treatment tablets. The second phase (albeit conducted in September 2018) delivery was to 1,350 households who received 20 kgs of maize flour each, with 60 cows also distributed to 30 households for restocking. BANGLADESH In August 2017, Al-Khair Foundation responded to floods and landslides in Bangladesh by delivering food packs which contained vital nutrients as well as living essentials such as candles, gas lighters, water purification tablets and medicine. The Charity delivered these much-needed goods to over 10,500 people – helping 1,500 families to survive the crisis. Additionally, in September 2017 the Charity provided cooked meals to those dispossessed by the Rohingya crisis, and built shelters for 3,000 families. 5,000 Rohingya refugees in Kutupalong Camp, in Cox’s Bazar, also benefited from emergency resource distribution, which included food, water, and hygiene kits. Al-Khair Foundation also constructed nearly 50 toilet facilities and 20 hand pumps for the Rohingya, to help reduce the risk of diseases and provide clean water in their time of need. Al-Khair Foundation also provided emergency support during the floods in Moulvibaar, Sylhet and Sunamgong Hoar – reaching 14,000 people during these interventions. INDIA In August 2017, Al-Khair Foundation partnered with BAUSS to provide food packs in the form of rice and pulses, as well as tarpaulin tents, blankets and hot meals to 3,600 people following floods and landslides in India. NEPAL In Nepal, Al-Khair Foundation responded to the floods and landslides which struck in August 2017. The Charity delivered food in the form of food provisions and blankets to 2,500 people affected by the natural disasters. MYANMAR In September 2017, Al-Khair Foundation responded to the Rohingya crisis in Myanmar by providing food packs and hygiene kits to over 2,000 families, as well as installing hand pumps to ensure those afflicted had access to uncontaminated water. Our winterisation project, emergency relief initiatives and additional Rohingya support projects helped over 35,000 vulnerable Rohingya in Myanmar in 2017-2018. INDONESIA In August 2017, Al-Khair Foundation responded to a deadly earthquake in Indonesia by providing tarpaulins, blankets and foods provisions to 4,500 people. In December 2017 the Charity responded to the Mt Agung Bali volcano eruption by providing 7 platoon tents, 1,000 blankets, as well as food and water for 1,500 people. Al-Khair Foundation also supported their electricity connection for 15 days. YEMEN In August 2017, Al-Khair Foundation partnered with Humanitarian Forum Yemen to respond to the cholera outbreak in the nation by distributing medical supplies and aqua-tablets to nearly 12,000 people – as well as campaigns to spread sanitary awareness amongst the affected population. In January 2017, Al-Khair Foundation worked with Humanitarian Forum Yemen to assist in the humanitarian effort following the civil war by providing food and Diphtheria medicines to over 5,000 people. SYRIA In February 2018, Al-Khair Foundation worked with Syria Relief to respond to the humanitarian crisis brought on by the ongoing conflict. Al-Khair Foundation sponsored the strained Ein Issa Refugee Camp kitchen, which was struggling to meet demand as the only kitchen in the camp of 13,000 residents. Cooked meals were provided to the entire Camp for the month of Ramadan.